After a brief search on Google, or even here on the gamut of blogs and articles provided by WordPress, of the words ‘Celt’ or ‘Celtic’, the casual internet patron might be left with thoughts of a deeply mystical people, ancient and arcane spirituality and wisdom, or of gruesome barbarian warriors shrouding their mind. They would also most likely come across links to Irish, neo-pagan, or alternative Christian sites promoting the peculiar enlightenment of the Celts. One may find Celtic litanies, Celtic incantations, pagan prayers to be uttered at Celtic festivals (particularly popular at Halloween), Celtic jewelery, books on Celtic spiritualism, wistful Irish music, or even, if you are lucky, a bizarre reconstruction of a fight between a Celt and a Persian Immortal to discover who is ‘deadliest’. 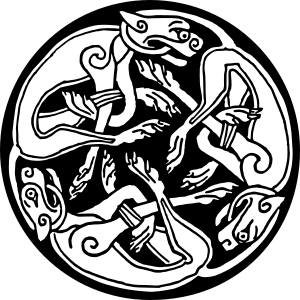 I admit, the immediate hits on Google for ‘the Celts’ provides the user with a list of useful and reasonable sources, but the myth of the Celt persists. Therein lies the rub, the task. It’s rather hard to say exactly, but one thing that should be taken for granted, but isn’t, is that the Irish, the Welsh, and the Scots aren’t. Of the many populations which have inhabited Britain and Ireland in the last few millennia none of them were, to use a modern term, ethnic Celts. Consequently, anyone who tries to sell you anything with ‘Celtic’ and ‘Ireland’ in the title is inherently wrong, unless it’s an academic work, but I’ll get to that in a moment. And that Moment is Now. The confusion relating to the term ‘Celt’ is down to 17th/18th century linguists, helped by modern willful ignorance. There were a people whom the Greeks and Romans called the Celts inhabiting Spain, France, and Central Europe back in the days when Greek education was the envy of the world. Whether or not these people were Celts is even up for debate; it’s one thing when Herodotus in the 5th century BCE refers to Celts, it’s a whole other thing when Caesar talks about them four hundred and fifty odd years later. Of course Caesar tells us that the people he’s conquering for their own good call themselves Celts, but we really only have his word for that, and he had an agenda, but some of them at least were probably the same people Herodotus was also writing about. But did they call themselves Celts? The Romans called the Greeks ‘Greek’, a mistake that we’ve inherited, but that’s not what the Greeks called themselves; in their minds there were Hellenes. The first group of Hellenes the Romans met were a tribe called the Graecians, and so they baptised an entire people with the name of one small contingent. So the people who Herodotus and Caesar called ‘Celts’ may only have been a small tribe of people, they might not have thought of themselves as Celts, they may have had no ethnic unity or consciousness whatsoever, unlike the Greeks and the Romans, aside from knowing that they were not Greek or Roman. These ‘Celts’ did share a common culture and language group (the individual languages may not have been readily intelligible to one-another, just as a modern Irish speaker would not immediately grasp modern Welsh), but they were not a nation as we now understand the term. This culture and language was shared by the peoples in the archipelago just off the north coast of Gaul, but they were not Celts. From the Ireland to Germany, Spain to Turkey, lived a people who spoke languages with a common ancestor. When this common ancestor was proposed it made sense, to the 17th/18th century mind steeped in Classical learning, to call this ancient language ‘Celtic’. It was hardly the best term to choose, but we’re stuck with it. And that is how, very simply, the Irish, Welsh, and Scots became Celtic. It’s just a term, a very specific term in linguistics. Latin and its descendants (French, Spanish, Romanian, etc.) are Italic languages, but that doesn’t mean that the people of Chile, Madagascar, Macau, or Vietnam are Italian. The term ‘Celtic’ is used in a very specific fashion in an academic context, there are books and articles on Celtic Theology, Celtic Sources, etc., on the bookshelves of many a university library, but in the shops on the high-street the term is almost ritually abused for the sake of money. You can buy Celtic Wisdom for £5, learn Celtic Secrets for less than a tenner, or get your own Celtic Spiritual Guide half price! There is nothing Celtic in these wastes of ink. Similarly there is very little about neo-paganism which is Celtic, mostly because the Celtic-speaking peoples of Europe didn’t write much down, so these neo-druids and wiccans are literally making stuff up, which is no different from any other religion in all fairness. 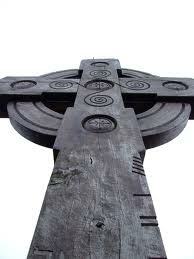 And there never was a Celtic Christianity, and the Celts did not save Britain. The term ‘Celt’ has become a fluffy word that spiritualists, and cunning marketing, frequently slap on a product to make it sell, from trinkets to soap. This seems to be a consequence of the increasing lack of faith in established religions, and the belief that the older, ‘more spiritual’ ideas were somehow better, in tune with nature, or some other vague allusion. The Gauls dug massive mines all over France in search of precious metals, which made them vastly wealthy, and ultimately financed Caesar’s coup. 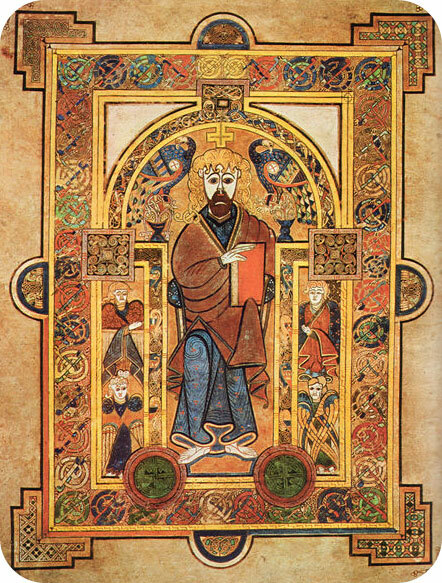 The peoples of Ireland and Britain traded with anyone and everyone they could, such that, for example, rare lapis lazuli from Afghanistan found its way to Ireland where it was made into ink for the illustration of religious texts. These people were just like us, consumers, but without the benefit of an alternative paradigm to faith. And, if the ancient Irish are anything to judge by, they were deeply practical, legalistic, and wonderfully secular for their time. This is not the ‘Celt’ that is promoted nowadays; we are confronted with a delusion invented by the 18th century Romantic Movement, an ephemeral fantasy cobbled together by misguided nationalism and often beautiful, but not necessarily true, literature and poetry. Be wary of Greeks bearing gifts, and be suspicious of anyone who uses the term ‘Celt’, unless they offer the immediate qualification of ‘linguistically speaking’. And stop calling the Irish, Welsh, and Scots ‘Celts’, or start calling the English and Americans ‘Germans’. Either way, leave the Celts alone.